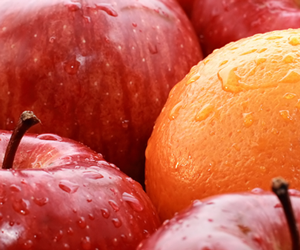 NIR Roof Care, Inc.® > Roof Care 101 > Apples to Apples? NIR is the Orange! Apples to Apples? NIR is the Orange! It was once uttered to the founder of NIR Roof Care, Timothy K. Lynn, by a respected architect, “You know roofers. They think if they don't wake up in the morning and cheat someone, they don't think they've done their job.” Perhaps that remains the image of the roofing industry & even the contracting world as a whole. This is not how NIR Roof Care thinks or has ever thought. While there are plenty of well qualified contractors with fair prices, the biggest problem stems from the number of unqualified contractors that cannot even begin to understand what their customers want. There is no point in discussing the unqualified group, because there are plenty of ways to distinguish them (i.e. – BBB, references, online guides, business license, etc.). When it comes to the qualified group, NIR Roof Care is not focused on telling our customers how we’re better in those categories, but rather how different we are. When you compare us to those same qualified contractors it’s like trying to compare apples to apples when NIR Roof Care is an orange. The truth is that our passion is taking care of roofs and developing a long standing relationship with our customers. We strategically set out to accomplish this as a means of not being in the right spot when it’s ultimately time to install a new roof, but to be their trusted vendor that they can be confident in will be there day or night for all their roofing needs. The result of this will be a roof that holds up better and longer to the decay caused by the elements and foot traffic occurring every day. It’s not that we believe we’re better than everybody else, we just believe we are different. We approach the industry in a style all our own. 80% of our business is dedicated to providing quality service to our customers. We know we’re not having the same meetings & discussions that our “competitors” are. Their core business is removing old & putting on new roofs. They’ve large yards full of equipment, a warehouse full of material & numerous crews that know how to install new roofs. At the end of the day, their ultimate satisfaction does not come from fixing your nuisance roof leak or finding multiple problems during a scheduled visit that they know just prevented disruption to the inside of the building.